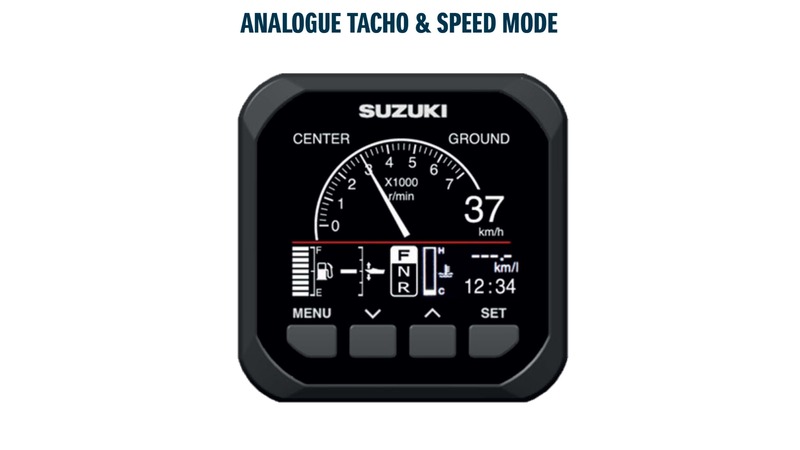 This brilliantly simple technology gives you the right information, at the right time, all on one user friendly intuitive screen. 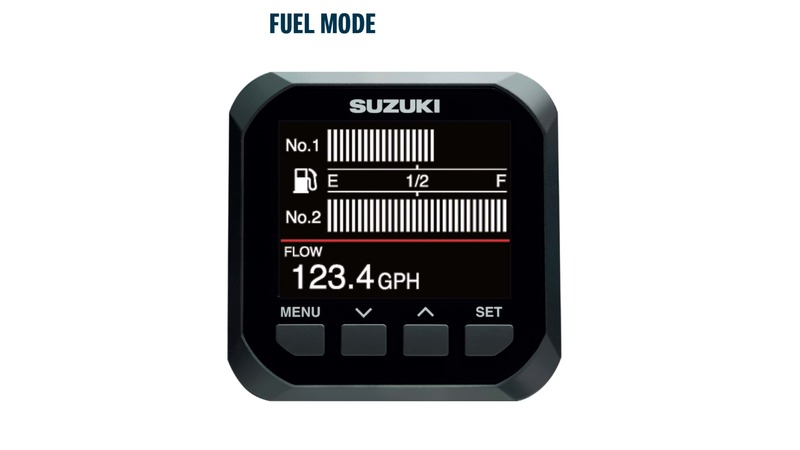 You can view a wide range of important information, including engine rpm, speed and trim angle, as well as engine temp and fuel economy in 13 different measurement units, and total fuel flow for multiple engine installations. 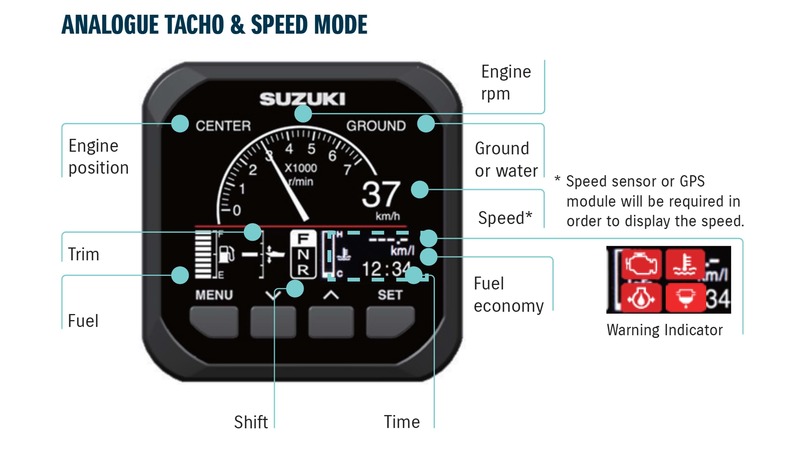 You’ll also receive alerts from the engine’s sensors and warning systems. 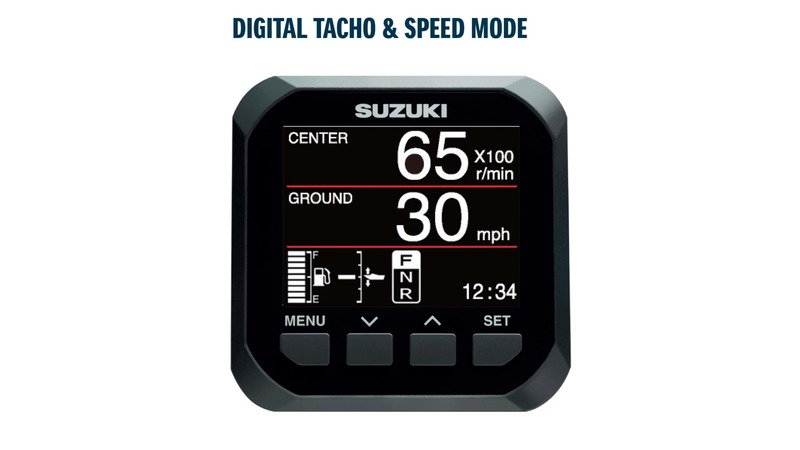 All you need for reliable, simple and relaxing boating, all in one simple, reassuring and reliable device. 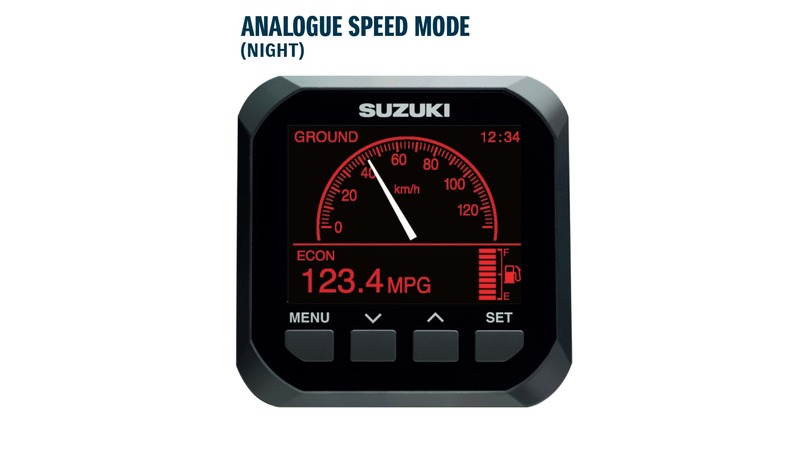 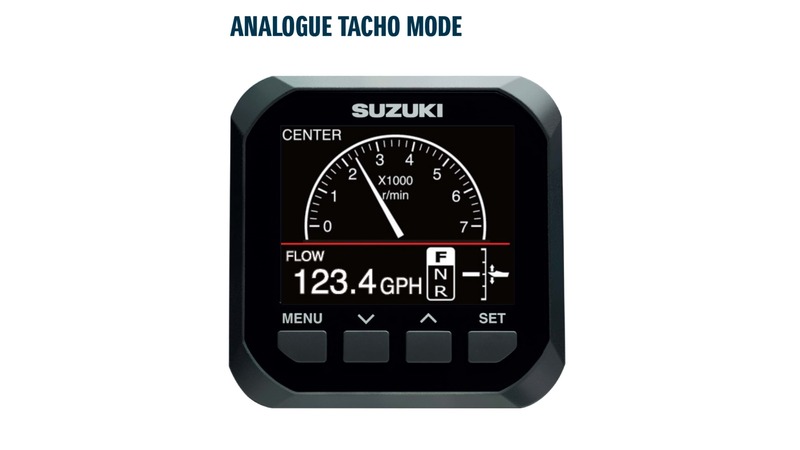 You can operate your Multi- Function Gauge in either digital or analogue display mode, depending on which you prefer; day and night settings mean you can use it at literally any time. 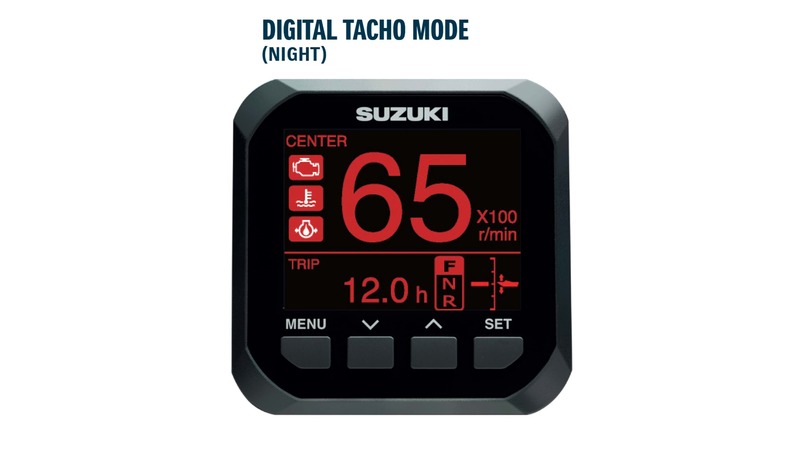 You can also zoom in on individual elements of the display, making it even easier to use. 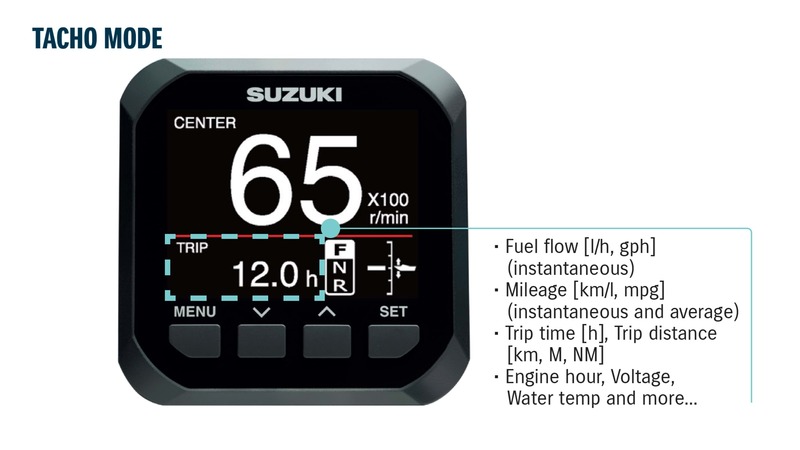 Find out about how to get the right propeller for your Outboard and learn about the new Suzuki Watergrip Propeller range.